Owing to the rapid increase in the numbers of people suffering from hypertension, heart disease and diabetes, India is now becoming a market for olive oil. Imports of olive oil in India surged by 66 percent to 11,916.76 tonnes in the financial year ended March 31, 2013, according to Indian Olive Association data. “Main driving factor for olive oil demands in India is health-related problems like increasing cases of diabetes, hypertension and heart diseases,” V N Dalmia, president of the Indian Olive Association, told IANS. He said in 2012-13, growth in import of olive oil was the highest in India among the major economies, followed by Japan with 29 percent, China 17 percent and Brazil 16 percent. Olive oil is considered good for health as it contains low saturated fat and high percentage of mono-unsaturated fat that help in reducing the risk of heart diseases, diabetes and hypertension. 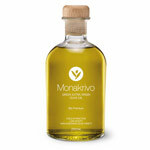 In addition, the high anti-oxidants in olive oil fight cancer and increase life expectancy. Dalmia said rising purchasing power and growing awareness among common people have boosted demands for olive oil, mainly in urban areas. Imports of olive oil have increased sharply in India in the past few years. It had jumped by 42 percent in 2011-12 and by 49 percent in the previous year. Dalmia said imports surged by 66.36 percent in 2012-13 year-on-year, which is a record high. Imports have jumped despite a sharp jump in prices. “Prices of olive oil have jumped by almost 40 percent in producing countries. It is now at a record high,” said Dalmia, who is also chairman of Dalmia Continental, one of the biggest importers of olive oil in India. Spain and Italy together supply over 90 percent of India’s olive oil import. Of the total imports, 59.18 percent came from Spain in 2012-13, while 31.26 percent came from Italy. According to the World Health Organisation (WHO), heart diseases would be the single largest killer in India by 2015. India has the largest number of cardiac patients, with an estimated over 100 million people or nearly 10 percent of the total population affected. India also has the second largest number of diabetes patients with an estimated 61 million people affected. Nearly 140 million people in India have high blood pressure, which is 14 percent of the world’s total such patients. Dalmia said considering the enormity of these health-related problems, the demands for olive oil would remain strong in India in the coming years. According to the Indian Olive Association, imports of olive oil is estimated to increase by an average 40 percent annually over the next five years. Dalmia said growth may drop in the current financial year due to high prices and a sharp depreciation in the value of the rupee that has made imports costlier. “Our import cost has gone up by almost 50 percent in the past one year due to increase in prices in the producing countries and rupee depreciation,” he said. The Indian rupee has depreciated by almost 10 percent since the beginning of this year. It hit a record low of 60.76 against a dollar last week. Dalmia said nearly one-fifth of olive oil in India is used for massage and external use and the rest for cooking. 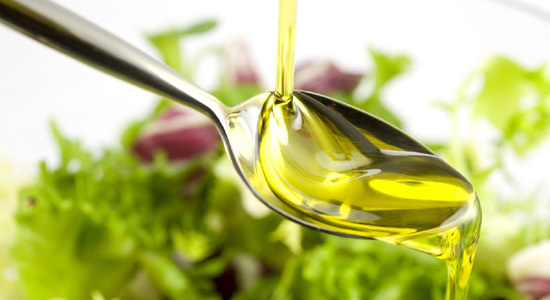 Olive oil , which … was born cosmetics!